I couldn’t wait to try Gin’s new intermediate reflex wing. I’m not a reflex guy. I’ve flown a variety of them, and have not caught on. It could be my free-flight heavy background that makes me love the super-maneuverable, efficient, undersized paragliding wing vs. a bigger, faster-by-design wing made for paramotoring. The current crop of reflex wings are starting to have some really desirable features. Easy launching, good maneuverability, good energy retention, and high quality of workmanship/materials are making reflex a great option for a savvy PPG consumer. Gin has a performance-focused wing that is friendly to the new user as well as competition-ready; enter the Gin Mirage. 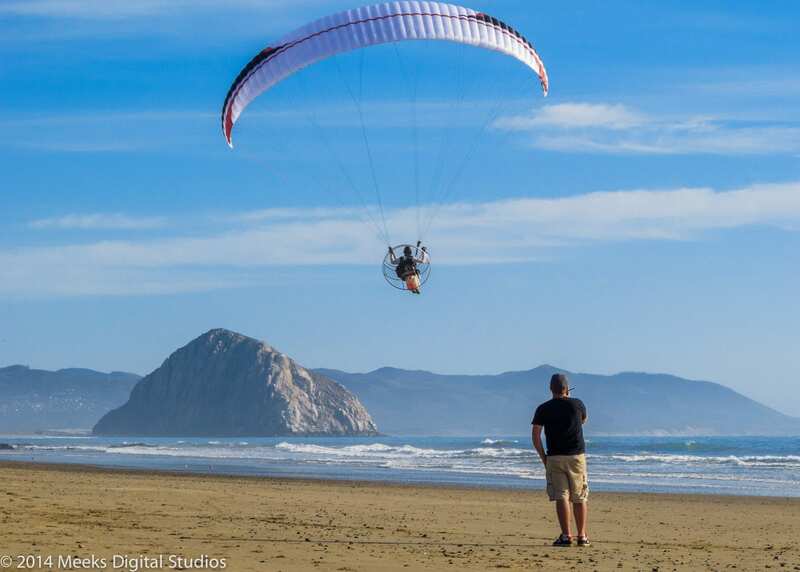 Available in an EN-B certified 28m, or EN-C certified 26 and 24m sizes; the Mirage appears to be geared toward a paramotor pilot’s first reflex wing. It’s ease-of-launch, simple control system, and predictable handling make it an ideal choice for someone wanting to make the transition to a reflex-type wing without too much of a learning curve. The Gin Mirage is made from Dominico Tex (DOKDO) 20/30, a popular lightweight fabric. 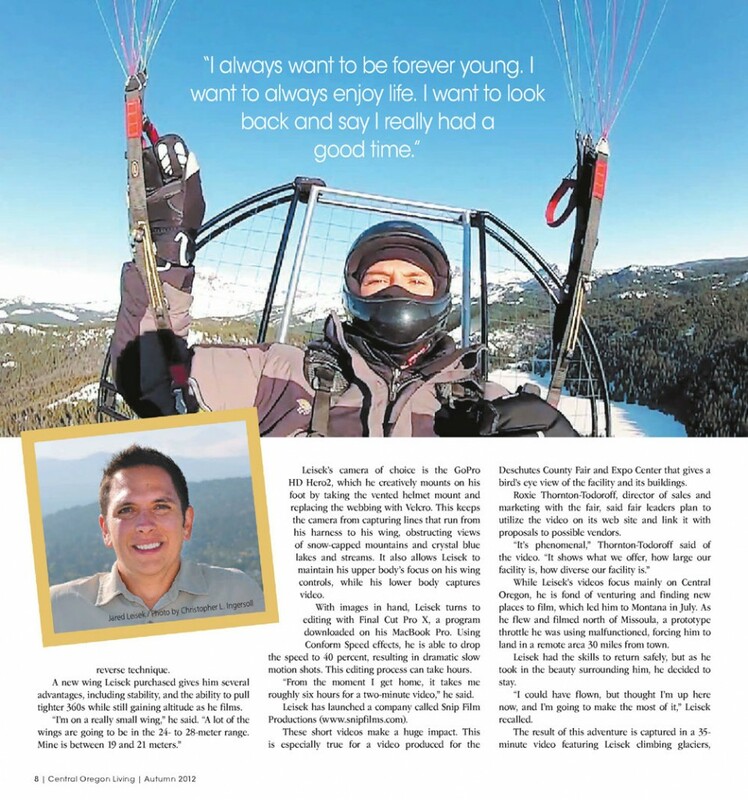 The lineset is paramotor-appropriate, meaning no unsheathed competition lines. The leading edge, though very lightweight, is formed and reinforced using ripstop fabric, a minimal amount of mylar, as well as nylon rods that help to keep it’s shape both on the ground and in the air. As a result the glider has no problem inflating, even at high elevation launch sites and in nil wind. The riser group has a long set of trimmers with three distinctive graduated marks for reference to “trim neutral” which is the center of the three markings. The trimmer webbing is attached to the riser at the top and bottom, and has an additional tab sewn onto it that if pulled will put the glider into it’s “neutral” (reflex) position. The manual suggests launching/landing the glider in trim neutral position, and utilizing the slower settings for thermaling and getting the best possible climb rates. I wanted to kite the Mirage to see how it would come up as well as resist collapse. I simply hooked up a kiting harness, pulled it overhead, and began jumping up and down two feet in the air to overload and unload the glider. It didn’t collapse. In fact, when the wind died and the wing wouldn’t stay up it still didn’t collapse. It didn’t fall back it just fell down almost on top of me – fully inflated. Launching in nil wind at neutral trim, I found that with a light lifting action on the A risers and three easy steps forward the glider came up. Reflex pitch-stability is real. At neutral trim I ran faster and climbed slower, but at 200lb pilot weight, 67lb paramotor, and three gallons + of gas, it was still no problem. I liked to fly it about 1” faster than trim neutral. This produced a great combination of brake pressure, hand position, speed, climb rate, energy for maneuvers, and roll rate. When flying with others on “regular” wings, I found that I would have to go 1-2” slower than trim neutral in order to stay with them. Flying with a GPS enabled variometer, I calculated my neutral trim speed to be 29-30 MPH, and fast trim setting (without speed bar) to be right at 36 MPH. These flights were conducted at field elevations of 4000-5500’MSL. The glider handles great all around and has great energy retention, but handles differently that a regular paraglider. It doesn’t pitch up as high when it comes out of high-energy maneuvers. At fast trim, the glider is a rocket ship. It is equipped with tip-steering toggles for changing direction in a low-drag and slow-rate kind of way. They are adhered with velcro onto the C-risers, and feature a loop that you can hook one or two fingers through and fly comfortably. The tip steering toggles require minimal pressure required to turn. My experience was that the ability to use the brake toggles is not lost at fast trim, as stated in the manual. The glider is still very responsive, but the feel is naturally very different. While flying with light pressure on both brakes, the wing felt great. The manual states that speed bar can only be applied with the glider in trim-neutral or faster. Every Fall, paramotor and PPC pilots get together in the Southern Utah Desert for“The Gathering at Monument Valley.” Monument Valley is the home of gigantic natural rock monoliths and plateaus. This is considered an advanced flying site due to the high elevation launch (5500msl), desert thermal conditions, gigantic rock formations, and tricky uphill launch against a rotor-infested airport. I took the Mirage to test a few things, but mainly the ability to launch it at high altitudes and it’s ability to resist collapses in tough conditions. I flew it for one windy session at fast-trim setting and made short work of the 5 mile flight to Eagle Mesa, where I then pulled trim neutral and ridge soared the giant 1300′ structure at idle with the prop windmilling. The next morning, I topped off the 13-liter tank on my Polini Thor 200 equipped Parajet Zenith to cover as much of the area as possible in fast trim mode. Three hours later, I landed having flown all over the tribal park with nary a flutter in the wing. I had about one liter left, which was great considering I was trimmed fast more than half of the time. That afternoon, the wind had calmed down and group of friends went for a motorcycle ride in the desert. I followed them low-level to test the Mirage. I chased motorcycles for ten minutes at low level with the trimmers at the neutral setting, swooped low and turned 360’s to stay with them. The air was rough. The motorcycles kicked up enough dust to let me see what the air was doing, and it was not friendly. I wasn’t worried about the glider pitching forward and collapsing. At one point, some dust from a motorcyle revealed a small dust devil that I was heading right for. No problem. That was a great test, and was easily the most fun I’d ever had paramotoring. 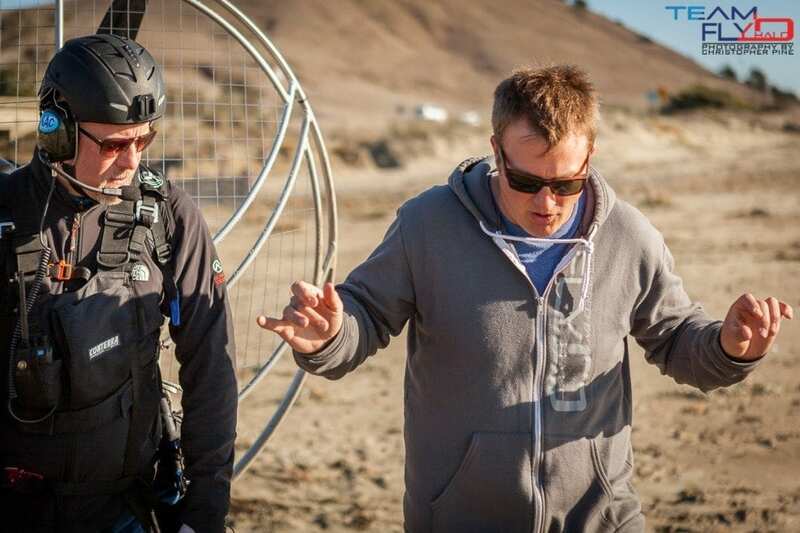 The Mirage has already been on the podium in the Finnish National Paramotor Championships in August 2012. Ari Sahlström won two of the 16 tasks, and placed 2nd overall. The other Mirage pilot in the competition placed 4th overall. This intermediate, certified wing has real potential in the competition scene. I’m a big fan of the Mirage. This has been my most pleasant and fun experience on a reflex wing, and looking over the test reports it’s extremely safe in the EN-B/C category. I think it would be ideal for those pilots who “need” speed, frequently fly with others and want to be able to keep up, or who frequently do multi-mile tours. Reflex gliders with tricky launch characteristics, doggy handling, and complicated speed systems are a thing of the past. A paramotor pilot’s first wing should probably be a traditional style paraglider, but I would recommend the Mirage to an avid pilot as their second wing. Pilots who will love it are those considering a step toward an uncertified slalom-type wing, but feel an intermediate step may be more appropriate. The Mirage is available in three sizes (currently) to accommodate pilots with all up weights from 85 to 155kg with paramotor. Check out the Gin Mirage Reflex wing in our store. Team Pilot Shane Denherder put together this amazing clip of some seriously awesome flying action at this years Monument Valley fly in. The conditions got pretty rough out there this year but our Gin gliders handled everything awesome! We had the Gin Mirage out there testing it out and were very impressed. The Gin Mirage is a reflex glider that was rocked solid the entire time. Not to mention it is very fast! We were recording speeds with trims out @ 36mph. More of that later though, we’ll have a review up shortly. We had a great representation of our Parajet Paramotors line up that everyone seemed to be salivating over. Enough chatter, on with the video! 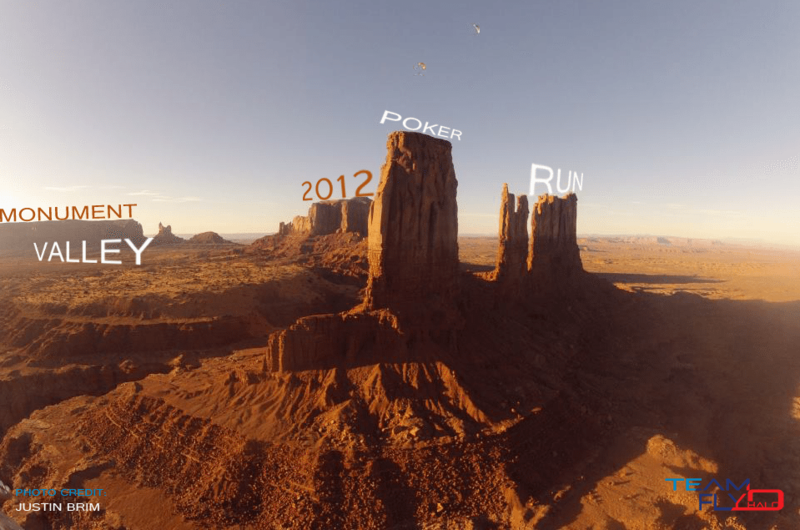 Team Fly Halo will be hosting a Monument Valley “Picture Poker Run” for anyone going to the event. In the spirit of encouraging everyone to see all the sites, we will be organizing a poker run independent of the event where the objective will be to capture various sites, formations, or structures on your camera/helmet cam while in flight. The Team will give you a “hand” based on what pictures you bring back at the end of the deadline, and the best hand wins a GPS Spot Tracker!! All participants will get a Team Fly Halo T-Shirt for participating, so we need to know how many folks will join in the fun! The timeline for photo entries will be 8:00am Friday morning until sunset on Saturday evening, giving you four full sessions (weather permitting) to get out and see all the sites. All participants should drop us an email at [email protected] We’re limiting the number of entries to 20, so be sure to contact us soon!